Looking for an Oasis? 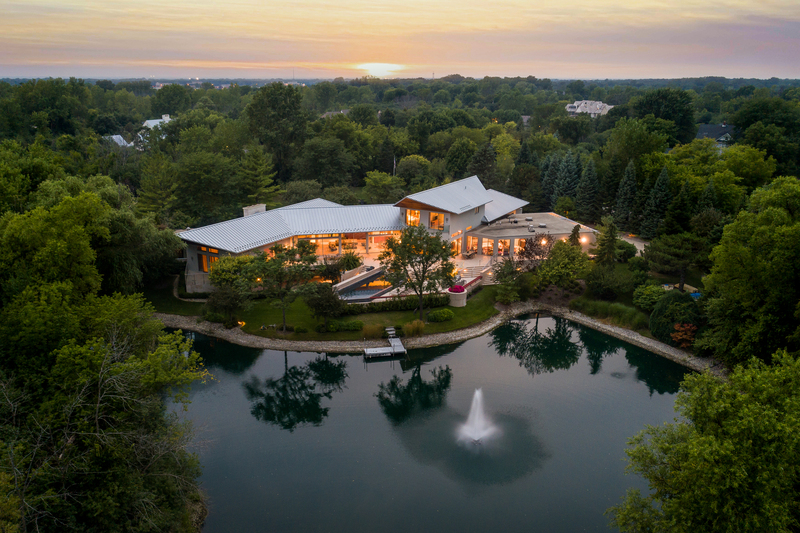 Come tour one of the North Shore's most extraordinary estates: A sprawling, light-filled Contemporary home with 5 acres of exquisitely landscaped grounds. This residence strikes the perfect balance for those seeking quietude & privacy in a home that is equally ideal for entertaining guests. If you appreciate natural beauty, the views from the interior of this home will inspire you to no end. Among the key features include: infinity pool & sundeck, main level master suite, wine cellar, golf simulator, 5 car garage, and stocked lake. Yes, a paradise to call your own. 4 High Terrace is one of a kind - and offers a rare opportunity for exceptional value & unmatched build quality. Bannockburn is the village of "Country Estates", just 29 miles north of Chicago city center and 4 miles to the lakefront. This hidden gem offers everything the best North Shore communities have offer: top schools, dining, thriving local businesses and a deep sense of community.